2,286 sq ft; lot: 5968 sq ft - MLS# 1406869 Courtesy of John L. Scott, Inc. Welcome Home! 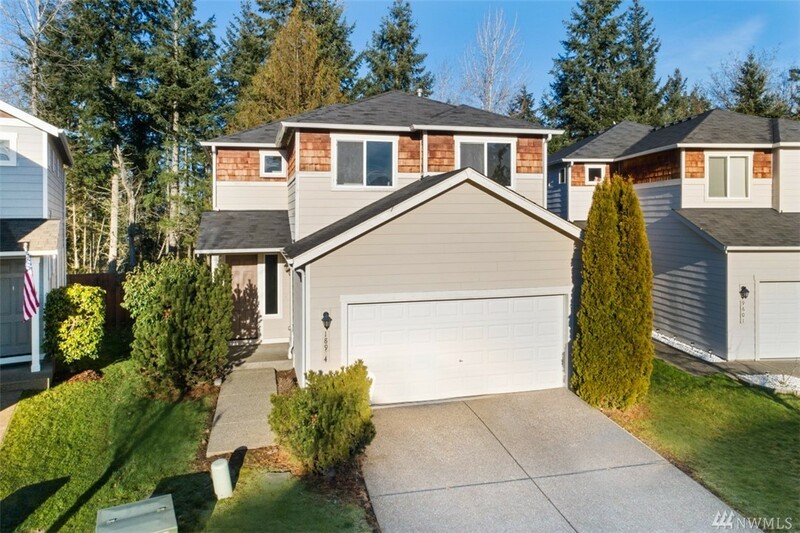 This very clean, bright, & open floor plan home is located in the Puyallup School District! You enter into extra tall ceilings on main, new carpet & views of your backyard PLUS oversized windows allow for so much natural light. Enjoy cooking in the extra large kitchen w/ tons of cabinet space. Upstairs is 4 large bedrooms & laundry PLUS a mountain view! Not only are you in a good school district, you have access to all of Silvercreek's amenities; clubhouse, tennis courts, & park.